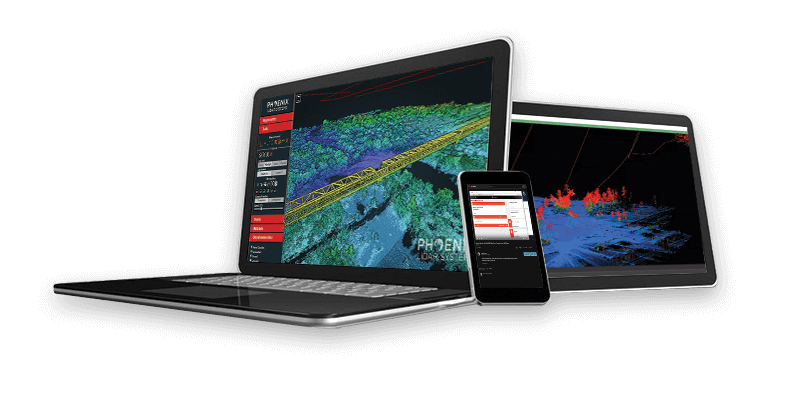 SpatialExplorer can monitor and control Phoenix LiDAR Systems in realtime as replay and visualize mapping missions in post. It is a great tool for calibration, flightplanning, analysis, training and marketing. WATCH PART 1/8 - Part one of eight, this Phoenix LiDAR Systems tutorial gives you a brief introduction into Phoenix LiDAR Systems’ Spatial Explorer software and its uses. WATCH PART 2/8 - Part two of our Spatial Explorer videos, this Phoenix LiDAR Systems tutorial will introduce you to Spatial Explorer’s user interface. WATCH PART 3 /8 - Part three of eight, in this tutorial you will learn how to load scan data into Phoenix LiDAR Systems’ Spatial Explorer. WATCH PART 4/8 - in the Phoenix LiDAR Systems tutorials on Spatial Explorer teaches you about the various parameters within the Sensor Panel. WATCH PART 5/8 - This fifth video in the Phoenix tutorial series briefly touches on some additional notes regarding the Sensor Panel within Spatial Explorer. WATCH PART 6/8 - In episode six of eight, Phoenix LiDAR Systems will walk you through the parameters found within the “Local Settings”. WATCH PART 7/8 - The seventh episode in the Spatial Explorer tutorial series will walk you through the camera sensor settings located under the Local Menu. WATCH PART 8/8 - Finally this eighth tutorial video will try to give you an understanding on the LDR panel and its parameters within Spatial Explorer’s Local panel. WATCH VIDEO - This video demonstrates post processing trajectories using NovAtel’s Inertial Explorer, LiDAR boresighting using SpatialExplorerBoreSighting, as well as calibration of intrinsic and extrinsic camera parameters using Pix4D and SpatialExplorer. WATCH VIDEO - An introduction into configuring the LAStools command line application, so that LAStools can function anywhere from within a Windows environment.